Do you have a lot of something cold you need to transport? Like enough chilled yogurt for your rural destination wedding, or enough frozen meat to feed a whole summer camp of hungry children? Whether you are planning an event, opening a facility, or making an unusually large product delivery, sometimes we have unusual refrigerated transportation needs. Sometimes, you need to transport a lot more cold stuff than could fit in even three large stacked coolers. Or you need to take it further than two bags of ice can carry you. Or the load needs to stay at a very specific temperature. With these requirements, there is only one practical solution: Hiring a refrigerated truck. The problem is that not everyone needs to ship an entire semi-trailer of refrigerated goods. Just more than coolers and car trunks could possibly hold. This in-between sized shipment can create stress for even the best event planners and organization managers. Naturally, you don’t want to pay to hire an entire refrigerated truck shipment when you only need a fraction of the refrigerated trailer space. This can cause decision-makers to balk at the idea of hiring the very service you need most. Fortunately, there’s a solution. Your answer is LTL Trucking, which stands for Less-Than-Load. 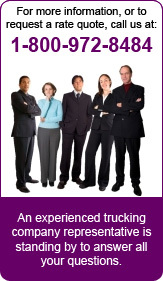 Transport companies often offer LTL services to smaller clients who need trucking, but not an entire trailer. Essentially, you can hire only the percentage of the trailer your shipment will occupy while other clients whose refrigerated goods are going the same direction take up the rest of the space. LTL trucking is a lot like calling the airport shuttle to pick you up from home. Your shipment will be transported quickly, but other people’s shipments will also be picked up and transported along the way. And for small-scale clients, this is the best possible way to get refrigerated shipping when you need it at a great price. 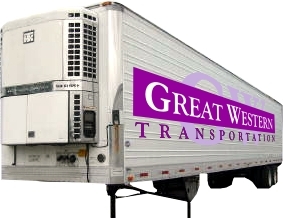 Do you need LTL refrigerated shipping? We can help! To hammer out the details of your refrigerated shipping needs, contact us today!